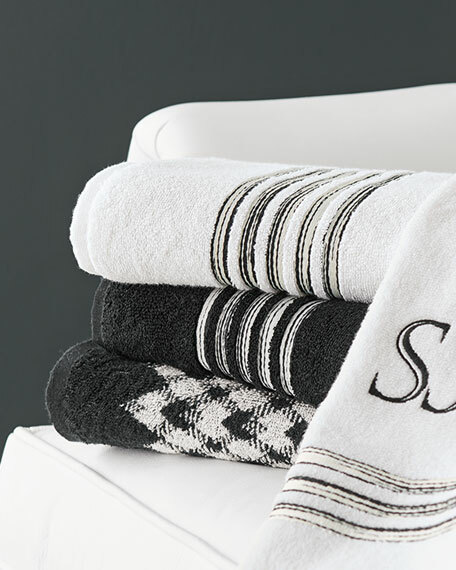 Bath towel in woven diamond check. 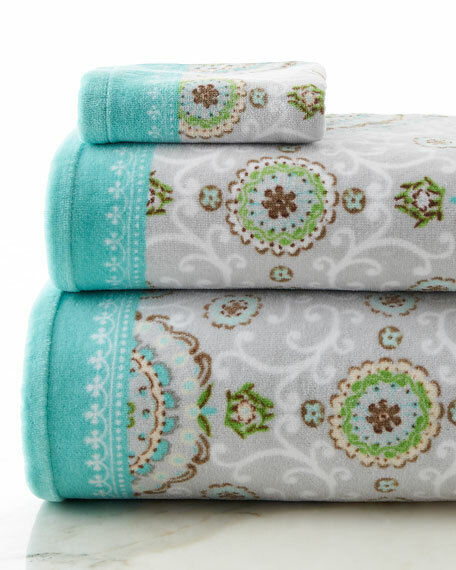 Bath sheet in woven diamond check. 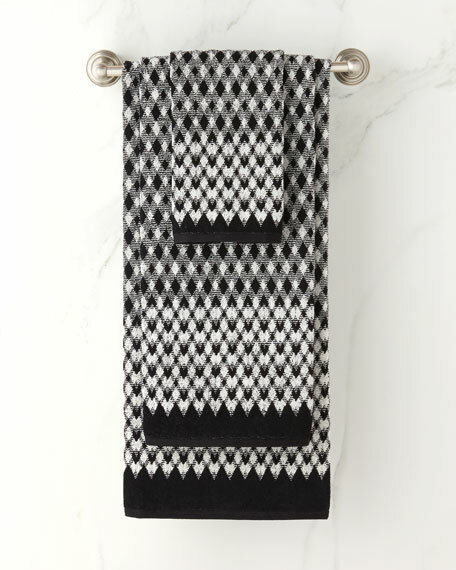 Hand towel in woven diamond check. Striped hand towel of cotton. Tassel trim at ends. 16" x 28". Imported.